Pole Evolution Dance Company is thrilled to present its latest production ‘Elements’ featuring international and local pole artists. Embedded in our psyche, the seven classical elements are essential to the existence and well-being of both the earth and spirit. Each element possesses the potential for light or dark, good or bad. ‘Elements’ will take you on a dynamic journey, exploring the myriad actions and reactions of the fundamental features that make up this universe. 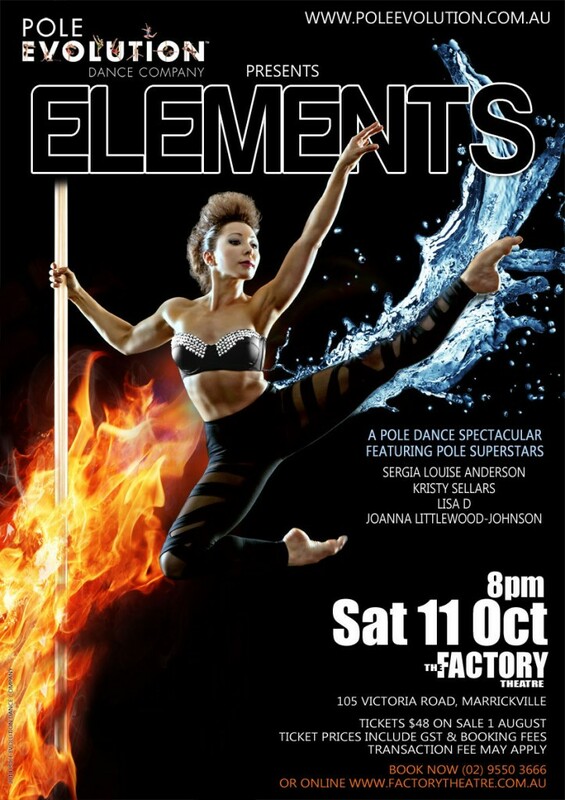 Weaving, pole art, acrobatics, dance, storytelling and music, Elements is an unforgettable experience not to be missed.